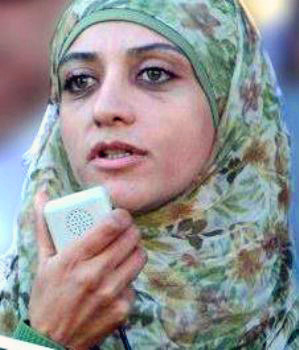 Shireen Issawi is a Palestinian Human Rights Lawyer who has focused on defending the rights of Palestinian Political Prisoners. She herself was arrested in March of 2014 because of her Justice work and remains imprisoned in Israel today. Shireen was honored in December with the Alkarama Award for her Commitment to Non-Violence as the Path to Peace and in recognition of her courageous work defending Palestinian prisoners� rights.